Back in 2009 we were traveling to Jurmo and we had to cross few ferries. While we were waiting for a larger ferry to arrive a port near by, we had time to spare and take a few photos of the surrounding fields. 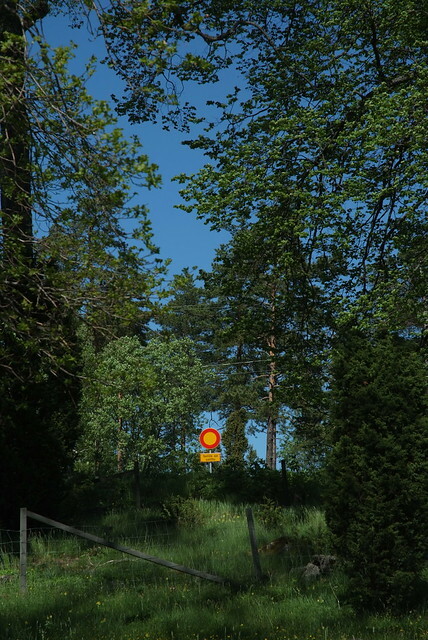 As I walked back to the car I noticed how this sign just jumps out of the woods.